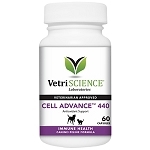 Home > Misc > See All Products > See All Cat Products > Antioxidants for Cats > VetriScience Vetri-Lysine Plus for Cats - 120 ct.
Vetri-Lysine Plus for Cats supports the immune system and helps control symptoms of feline herpes virus. 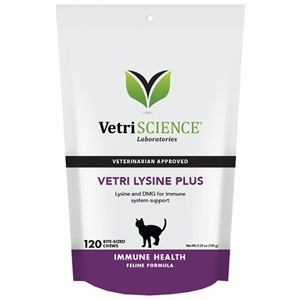 Vetri-Lysine Plus for Cats is a highly palatable chicken liver flavored chew formula designed to support immune system function. L-Lysine is an amino acid which helps control feline herpes virus and the watery, goopy eyes that often accompany the condition. Each bag contains 120 chews. 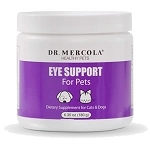 Have 2 cats, one gobbled it up, the one who has Herpes Eye discharge issues, would not eat them at first. Took about 2 weeks to eat them, but now she is used to the taste and it has cleared up her eye discharge. Much better than having to deal with putting prescriptive medicine in her eyes. We have an exotic shorthair with eye issues and spent $300 at the cat opthamologist to get months worth of eye drops and antibiotics. With this treatment showing no improvement we tried treating him from the inside with something to build his ability to fight the infection, and this product worked nearly immediately. He will likely always have scarring on his eyes due to the infection, but with these vitabites his eyes are healed. And he loves the taste, can't keep him out of the bag. Our 2 kittens have Herpes, and one of them have an eye, that waters a lot and doesn't look right. These vitamins have helped with the watering. The kittens love the taste. They gobble them right up. I thought the price was good to other forms of the med or websites I'd looked into. All of my cats love the lysine chews. They work to keep the discharge from their noses. I bought Vetri-Lysine Chews because my Oriental Shorthair cat has an eye problem. She has been rubbing it and it waters. All her skin around her eye and up to her ear gets bright red. Other times she appears perfectly fine. My vet Dr. has said it is allergies. My other Oriental also gets a watery eye. So I was hoping this would help. It's been a couple weeks but not sure if it's helping. I think these may have been meant for viral problems. BUT they absolutely love these chews!! i trust these are good for their immune systems but, I don't know if it would actually help their allergies. L-Lysine is an amino acid that supports antibody, hormone and enzyme production. It also supports collagen formation and tissue repair. Lysine is thought to suppress blood arginine levels, thereby inhibiting herpes virus replication. DMG is an intermediary metabolite that is naturally produced by the body in small amounts. DMG provides useful building blocks that support production of vitamins, hormones, neurotransmitters, antiobodies, nucleic acids and other metabolically active molecules. 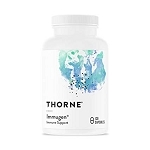 Research indicates that supplementing with DMG enhances oxygen utilization at the cellular level and supports the immune response. Inactive Ingredients: brewers yeast, canola oil, chicken liver flavor, citric acid, glycerin, mixed tocopherols, propionic acid, proprietary blend (maltodextrin, sodium alginate and calcium sulfate), rosemary extract, silicon dioxide, soy lecithin, vegetable oil. Kittens: 1 chew, twice daily. For cats and kittens only.